I’m an AM radio geek. And I’ve been a fan of Tommy Mischke on Minneapolis radio for a couple decades. Tommy’s show isn’t for everyone. I’ve been in a room with his other fans; I’ve seen a motley lot of us together in one place. I had a faint sense we were all a little unhinged somehow. Wait, who among us isn’t a little unhinged somehow — in one way or another? OK, yes, yes, it is for everyone. Mischke’s one of a kind, starting with his voice. You absolutely cannot match his distinctive, colorful and sometimes crazy delivery with anyone else’s. His unique takes on life are both wildly funny and deceptively profound. He’s that friend we all want to run things by, because you know he’s probably going to pose an angle you hadn’t thought of, a new way to connect the dots. Up until 2013, Tommy’s then-gig was a nightly show on WCCO-AM that made me laugh, cry and think…usually on the same night. Then during one summer show that year, he announced he was quitting. Just like that. He told his listeners he knew he had to do something else, though he didn’t yet know what it was. We fans were in mourning, but we trusted him. We knew he was telling the truth and we wanted the best for him. We’d been through a lot with him, at least from our end. We hoped whatever it was he decided to do would be something we could share. You can also subscribe to the podcast on iTunes and on Spreaker. This week’s show, to me, is the epitome of what Tommy does so well, and is honing to perfection with his new venture. “The Fighter” is a story that will take you on a stunning journey, one you’d probably never thought of taking. That’s Mischke. He finds the people who have quiet, powerful stories to tell. And off we go. He knows just when to step in, to steer, and when to be silent. This episode is, as always, masterfully edited. If you’ve never heard Tom’s show before, this is the perfect place to start. Here’s hoping the joy and light coming from Rachel and Jason, the couple in this story, might warm your deep, dark winter night. Click on the image below, to listen. 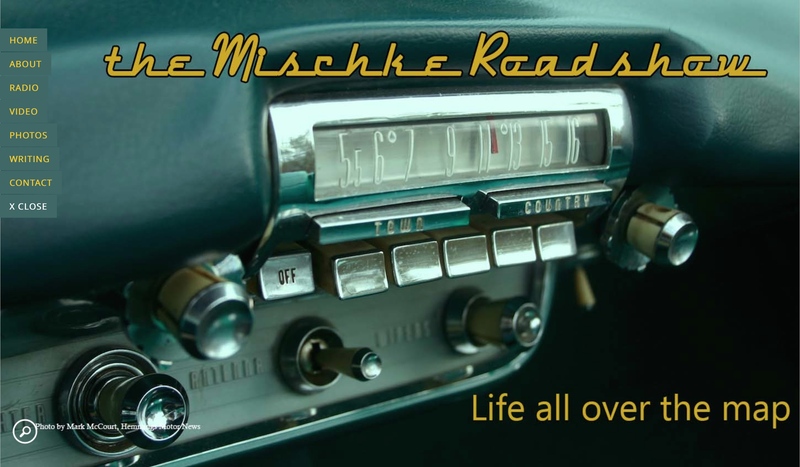 This entry was posted in Radio, Uncategorized and tagged Mischke Road Show, podcast, radio, Tommy Mischke by Kitty Sheehan. Bookmark the permalink.